Safety is your number one concern if you want to put racing seats in your car. A good racing seat should help reduce lateral movement, cushion your body from sudden impacts, and provide additional support and comfort. Also, your racing seat must suit your driving needs and your car’s model and specifications. Reclining seats – Also called adjustable car seats, reclining seats feature a back pad that can be adjusted for reclining. Reclining seats are ideal for driving to work, school, and daily activities. Reclining seats add sophistication to your regular car and helps you feel more relaxed and comfortable, too. Suspension seats – Also called bucket seats, suspension seats are designed to hold you in the driver’s seat, reduce movement, and absorb impacts. Suspension seats feature prominent head and neck rests, and good lumbar support. Suspension seats are ideal for off-road driving to reduce the impact from rough dirt roads. 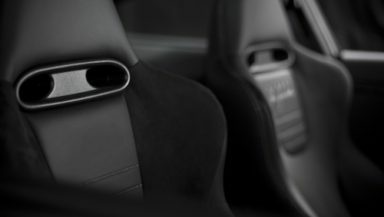 Fixed back seats – Also called FIA seats, fixed back seats are used in professional sports car racing. These are seats approved by the La Fédération Internationale de l’Automobile, the governing body that regulates international motorsports. FIA seats must pass additional safety standards, such as stronger material construction, flame-retarding properties, and automatic anti-collision features. Bench seats – Bench seats are good for adding car seating capacity. Apart from adding more seating space, bench seats can also function as beds due to its wide seating space. These are common among vintage cars, but newer seat models are also available for use in current car models. Once you’ve determined what type of racing seat you need, the next step is picking a racing seat that fits in your car. Pick the right racing seat by measuring the available shoulder and bottom width in your car. All you need to do is take a tape measure, get into the driver’s seat, keep the doors closed and windows up. The middle-point between your shoulders up to your car’s window, multiplied twice, is your available shoulder width. Ideally, your racing seat should be at least 1-2 inches narrower than the available shoulder width. To get your car’s available bottom width, measure the distance from the closed door panel up to the center console. Pick a racing seat that is at least 1 inch narrower than the available bottom width. Lastly, a good racing seat also fits and feels comfortable on your body. This is especially important for big-bodied drivers and those who spend most of their day driving. Racing seats are also sold in small, medium, and large sizes, so choose a size that fits you right and fits your car space. Do not pick a size smaller than your fit. You might also want to consider how the seat’s bolster (cushioning in the thigh and back areas) affects you, since it may limit your seating space, especially for bigger drivers. Lastly, also consider your passengers’ needs. If you will be frequently driving or sharing the car with passengers who are bigger than you, then a bigger racing seat may be needed. After choosing the racing seat that fits both your car and your body, the next step is properly installing it. Aftermarket seats either come with bottom-mounting or side-mounting points. Some seats also come in with sliders for ease of adjustment after mounting. First remove your car’s default seats by unhinging the seat bolts, starting with the rear bolts to the front. Unplug the seat connectors and pull the factory seat out of the car. Don’t forget to detach the seat belt as well, if it is not directly attached to the car since you want to install the seat belt to the new racing seat. You are now ready to install the new seat. Start by attaching the seat belt into your new racing seat. Then, maneuver the seat into the mounting area, and reconnect to the connectors. Some connectors may not be accommodated by the new racing seat, and should be left as is. Bolt the seat into place, starting with the front bolts, then the rear ones. Be careful not to over-tighten them. Check the position of the seat. If it doesn’t feel right, unbolt and reposition the seat again until it falls into the right place. You want to make sure your new racing seat is well attached and comfortable. Investing in a good racing seat improves your driving experience. Consider your driving needs, your car’s specifications, and your body’s comfort when buying a suitable racing seat for you.